How does a literary agent or publisher evaluate a query letter? What do they look for? What's an automatic rejection? Learn about the ins and outs of the slush pile from an insider. How to pitch your story in a way that will get agents and publishers excited to read more ... and request your project. Believe it or not, there IS an easy way to talk about your novel, memoir, nonfiction project, or picture book that turns heads! The query letter usually contains standard information, but how do you know what to put, and where? Mary breaks down the key components of the query so you never have to wonder again. This webinar includes personalized constructive feedback from Mary on your query letter. After five years as a literary agent, Mary has seen it all. Here's how to avoid common slush pile mistakes ... and the easy things you can do to stand out in a positive light. There are other strategies to slush pile success than just writing an amazing query. Collect tips that will help you pick the right agents and publishers to target in the first place to increase your chances. ﻿Former literary agent Mary Kole provides consulting and developmental editing services to writers of all categories and genres, working on children’s book projects from picture book to young adult, and all kinds of trade market literature, including fantasy, sci-fi, romance and memoir. 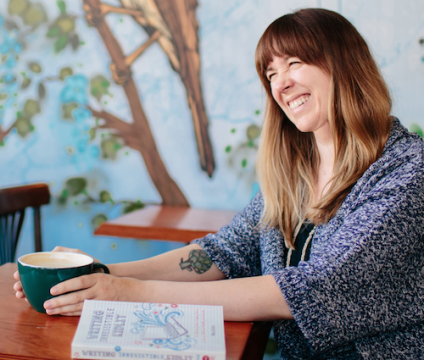 She holds an MFA in Creative Writing and has worked at Chronicle Books, the Andrea Brown Literary Agency, and Movable Type Management. She has been blogging at Kidlit.com since 2009. Her book, Writing Irresistible Kidlit, a writing reference guide for middle grade and young adult writers, is available from Writer's Digest Books.